You are here: Home / Dog Behaviors / Why Does My Dog Tilt His Head? Why Does My Dog Tilt His Head? 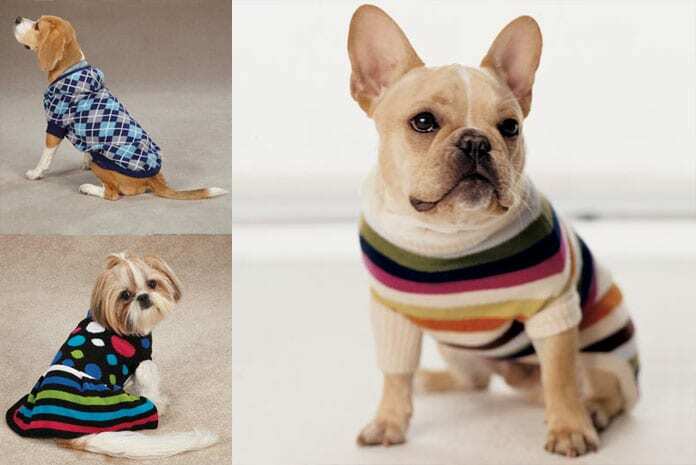 Take a look at your dog as they tilt their heads. Dog owners are generally very good at reading their dogs’ emotions. 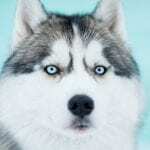 So, have a look at your dog’s face the next time they are tilting their head, and try and list words that come to mind to describe their thoughts and feelings. When doing this exercise, dog owners will often come up with adjectives such as ‘attentive’, ‘listening’, ‘curious’, ‘engaged’, ‘intrigued’ and ‘interested’. How about you? Which phrases or words did you associate with your dog’s head tilting behavior? If you came up with any of the words above, then most likely you were right on the money! 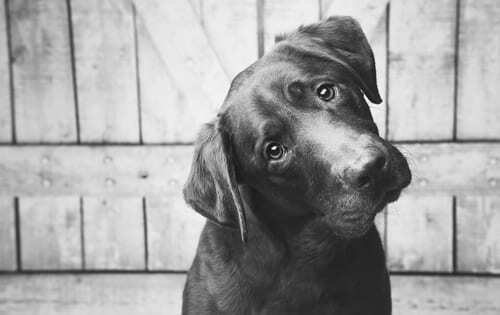 Studies have shown that dogs tilt their heads when they are listening intently to what you are saying, and when they want to understand how you are feeling, and what you are thinking. Three Theories About Dog Head Tilting. So, now we have a general answer to the question ‘why does my dog tilt his head?’ However, let’s now delve a little deeper into the subtleties of the matter. 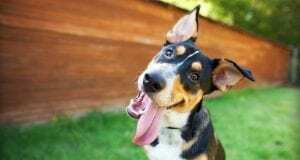 Given that dogs tilt their heads because they are attentive to you, there are three main theories about how head tilting helps them to engage with your words. These theories are listed and discussed below. 1. Head Tilting Enables Your Dog to Hear You Better. When dogs tilt their heads, you may also notice them cocking one (or both) of their ears up. 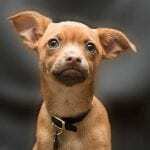 The combination of a tilted head and an uplifted ear enables your dog to hear what you are saying and to appreciate the tone of voice in which you are saying it, much more sharply and clearly. This is particularly true of dog breeds that are blessed with long floppy ears. 2. Getting a better view of your face. As well as listening to your voice, dogs also gauge your emotions by attending to your facial expressions. Tilting their heads to one side enables them to see your face much better and thus to read your facial expression. Some dog breeds (such as the Cairn Terrier) are known to have rather poor eyesight, so they need all the help that they can get to see your face! However, these breeds are often excellent at spotting and responding to movements, which brings us on to our next point. As well as reading your facial expressions, dogs also watch your head movements. You may not realize this, but the way that your head moves, and the speed with which it runs, can reveal a whole lot about what you are thinking. So, if your dog tilts their head so that they can get a good view of your face, and stares at you intently, chances are they are making meaning from even the slightest wag or nod of your skull! 3. We have taught our dogs to tilt their heads. We all know that dogs respond well to positive reinforcement. 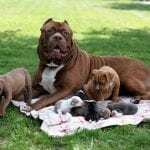 Praise and petting are two compelling tools in the training process as they help to encourage dogs to keep on learning, and to inform dogs when they are doing well. 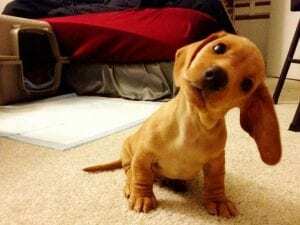 Now, a doggy head tilt is super cute. 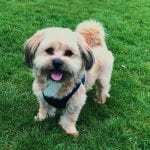 So, when we see our dog tilt his head, very often we will respond in a warm and confident tone of voice, perhaps mixing in a few words of praise and encouragement. Dogs respond very positively to this. So, your dog will be more likely to tilt their head at you in the future. We have encouraged head tilting behavior, so this theory goes because we like to see it. Why does my dog tilt his head? A summary of the leading theories. In general, dogs will tilt their heads when they are listening to you. So, if your dog tilts his head, you can pat yourself on the back as this is one sign that you two have a great rapport going. 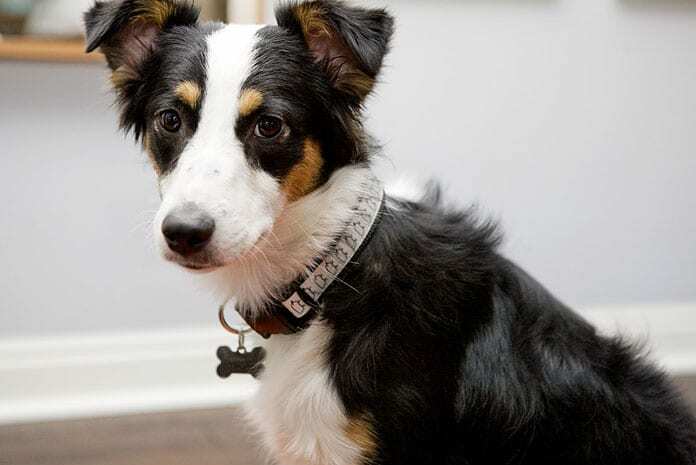 Head tilting makes it physically more comfortable for your dog to hear and see you, and thus to understand what you are trying to communicate to them. But, head tilting may also be partly performed to please our human ideas of cuteness.